While the weekly Sunday Mass at St Mary's is a Novus Ordo (Vatican II) rite, the Choir members regularly sing at Masses in the Extraordinary Form -- also known as Tridentine or Solemn Roman Rite Masses -- which was the Roman Catholic liturgy prior to the reforms of the Vatican II council. 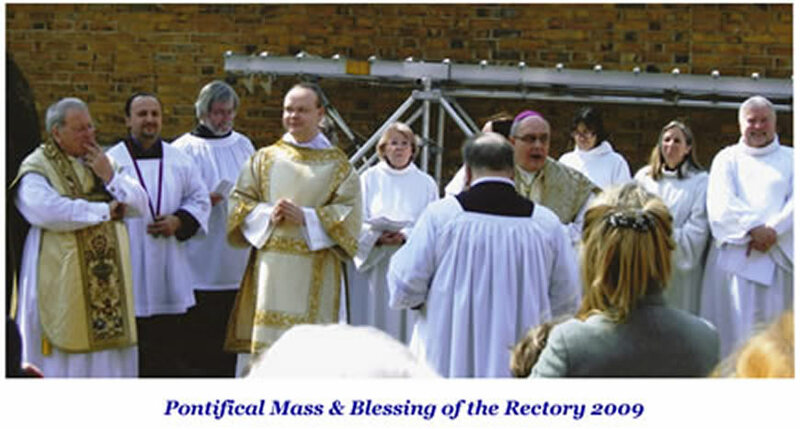 As part of the Bi-Centennial celebrations of the parish in 1998, a Tridentine Rite Mass was organised by the Choir and the Master of Ceremonies, Edward Barrett, and held in August of that year -- and, with the permission of the Canon of the Church, this has been repeated every year since. In 1998, Pope John Paul II issued a Motu Proprio "Ecclesia Dei" in which he provided guidance for the celebration of Masses in accordance with the 1962 Missal and appealed to Bishops to be generous towards the 'legitimate aspirations' of the faithful who wished to attend this form of liturgy.
" I would like to draw attention to the fact that this Missal was never juridically abrogated and, consequently, in principle, was always permitted."